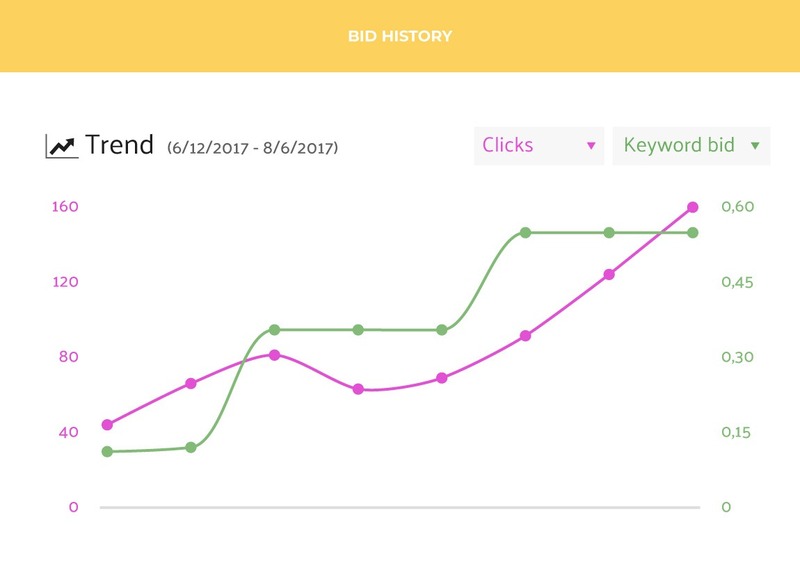 Use our automated bidding software to save time and help you achieve a higher return on ad spend (ROAS). 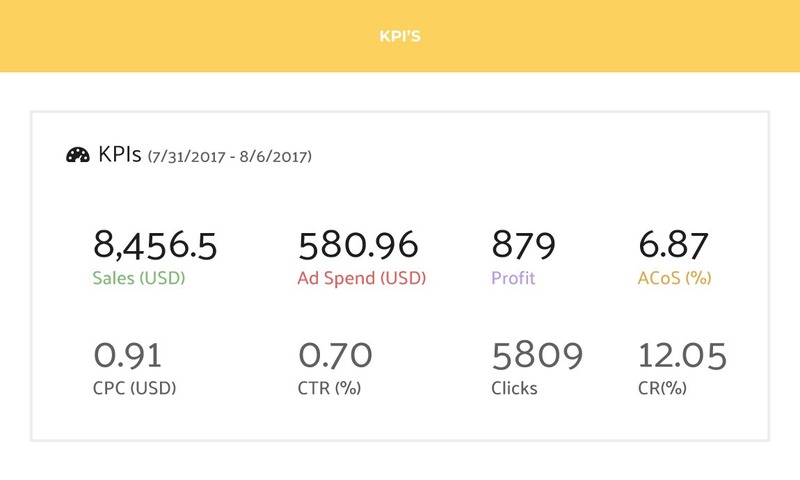 Track your ad performance for any given period, and see exactly which changes positively affected your campaign results. 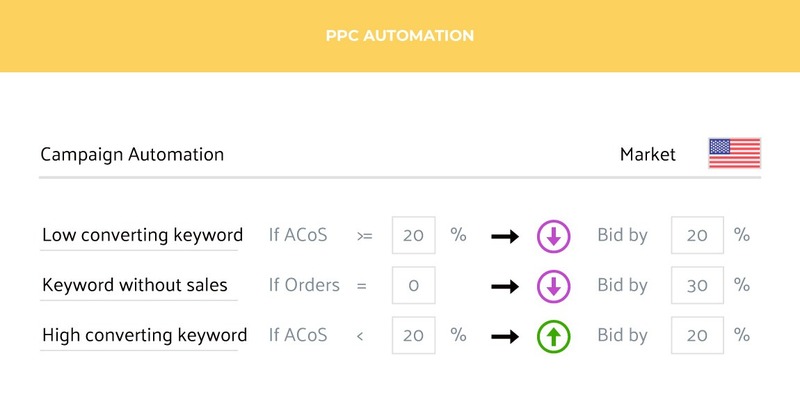 Use our PPC Manager to optimize your CPC bids for profit, and make smarter decisions with historical data. Save time and automate your keyword bids. Focus on campaign profitability and get the most out of your Amazon advertising spend. We track every change made to your Sponsored Products campaigns, enabling you to access all your historical campaign data that is not available in Seller Central. 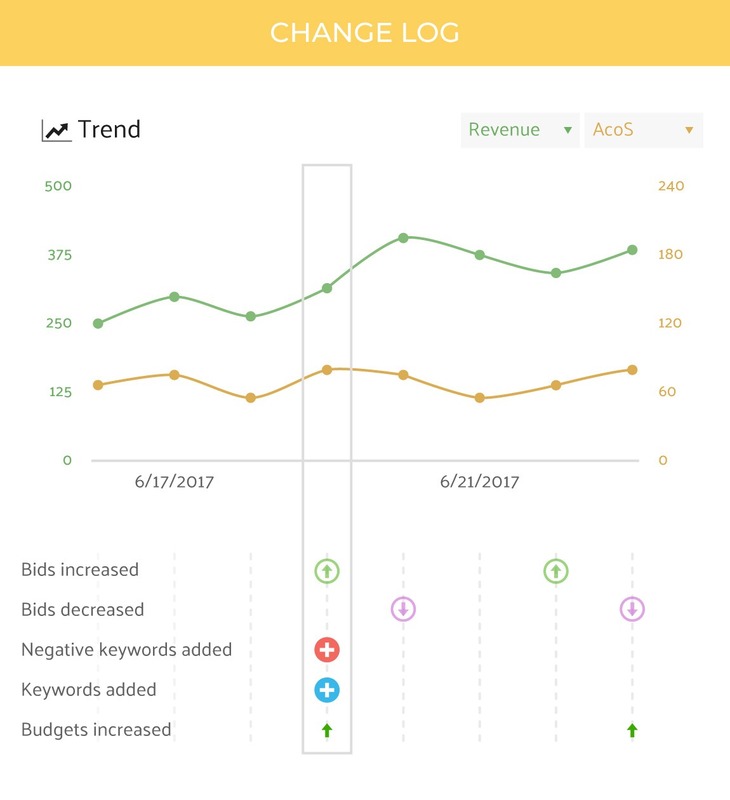 Changes you make to your keyword bids, budgets, added or removed keywords are all visualized for you. Learn from the past and know exactly which changes correlated with a boost in ad performance.